The Australian Logistics Council (ALC), Australasian Railway Association (ARA), Ports Australia and Shipping Australia (SAL) have linked to call for clarification of how the Biosecurity Levy, announced in the federal Budget, will operate. Particularly, the grouping wants clarity on how the generated revenue will be spent, and it casts the move as something akin to a stealth tax. The proposed Biosecurity Import Levy will charge $10.02 per incoming container and $1 per tonne of non-containerised cargo, generating estimated revenue of $360 million. The levy move comes amidst serious concern in parts of the ports-related transport and logistics sector at being saddled with extra business costs rooted in federally backed state government infrastructure privatisation strategies. "Our concern is that this import levy has been announced with almost no engagement with the supply chain and with no plan on how it will be used in the Biosecurity System," Ports Australia chief executive Mike Gallacher says. "The complete lack of detail on this ambiguous proposal lends weight to the impression that it is a broad import levy across all goods coming into the country. "The revenue measure estimates $360 million over three years. "Only $76.6 million of this is will be spent enhancing Australia’s biosecurity system over the same period. "That leaves $283.4 million unaccounted for. "The port sector has stringent biosecurity measures and will always continue to leverage our expert capabilities to meet the Australian government’s objectives on biosecurity. "Australians use and interact with the supply chain every day, from food to cars furniture to building materials it is essential for day to day life. "Yet there has been virtually no engagement on this plan for a blanket charge on imported goods moving through the supply chain." 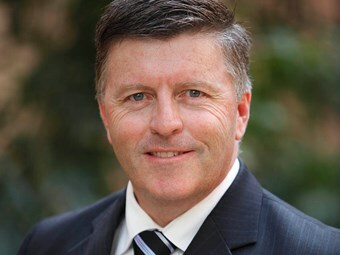 Shipping industry peak body Shipping Australia Limited chief executive Rod Nairn points to a disconnect between federal rhetoric on tax cuts being made while new charges are preferred. "If $360 million is needed to protect Australia’s unique environmental assets then there should be a plan detailing precisely what the money is paying for and how the government arrived at the figure. "This is another example where one sector of the supply chain is being forced to fund something that is not directly related. "As things stand, this levy measure currently has no clarity, no plan and no purpose." The Australian Logistics Council (ALC) an explanation of the levy’s reasoning and detail is essential. "Measures in the Budget are expected to be accurately costed. There should be no exception for this one," ALC managing director Michael Kilgariff says. "Until such details are made clear, a broad charge on every item imported from another country simply cannot be justified. "The freight logistics sector should not be used as a ‘cash cow’ to fund unrelated Budget initiatives. "Not only will everyday consumers be impacted by this measure on containerised goods, but anyone importing non-container goods will pay $1 a tonne." "That means a construction business importing 50,000 tonnes of concrete will now have to pay an additional $50,000. "Imagine the impact such a measure will have on infrastructure costs." The Australasian Railway Association (ARA) points to the impact of the extra costs down the line. "The proposed levy is a significant issue for ARA members and every day Australians," ATA chief executive Danny Broad, says. "The levy will ripple right through the supply chain and hit the end consumer. "Every product that comes through our ports, onto our rail networks and delivered to the consumers will feel the effects of this levy. "Industry is committed to continue working with the Government cooperatively to enhance biosecurity. "However, urgent clarification and rationale is needed on the details of this new levy, which is being imposed with almost no consultation with those it will affect the most." Gallacher adds that the grouping looks forward to discussing the impost with the federal government to "map a sensible and effective way of strengthening Australian biosecurity". Road Freight NSW (RFNSW) supports the grouping’s thrust, describing levy as a "re-run" of the crippling port surcharges already imposed on truck operators. "From our perspective, it’s a re-run of the port infrastructure surcharges which have been slapped on truck operators with no consultation, no explanation and certainly no justification — nothing more than a blatant cash grab," RFNSW’s CEO, Simon O’Hara, says. "Of the $360 million raised through the Biosecurity Levy, it’s estimated that only $76.6 million is actually being spent on biosecurity – that’s why it’s only fair and reasonable that our industry stakeholders are calling on the Government to explain where the rest of the money will be used. "Undoubtedly, such a blanket surcharge, like the port infrastructure taxes imposed on truckies, will simply be added to goods all through the supply chain. "Everyone in the freight logistics sector will be hit, and hurt, by this new tax. "Our members, who are already struggling to operate on increasingly tight margins as a result of the port taxes imposed by stevedores, are going to be impacted. And ultimately, so will Australian consumers who will be paying more for their imported goods. "RFNSW joins the Australian Logistics Council, Australasian Railway Association, Ports Australia and Shipping Australia in raising our concerns about this new import tax and calling on the Government to give us a ‘please explain’."